Dust off your anvil and fire up your forge! We’re partnering with Polycount to bring forth Arms & Armor, a 3D art competition for Chivalry: Medieval Warfare! 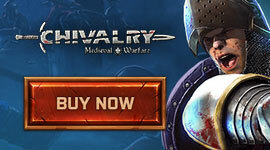 We are extremely happy to announce our latest contest – the Arms & Armor Contest for Chivalry: Medieval Warfare! If you’ve been itching to become a paid content creator for a Steam Workshop, but found the art style of games like Team Fortress 2 or Dota 2 to not be your thing, then we definitely think you’ll find what you’re looking for with Arms & Armor. What are you waiting for!? Head on over to the contest page for full details. Looking for a previous update? Check out our update archives.